At Hear For You Hearing & Balance Center in Lincoln, RI we understand that communication is an integral part of your day to day life. Our goal is simple; we are here to help you hear well. We know that hearing loss can be challenging and understand making the decision to seek treatment isn’t easy. Our experiences have taught us that treating our patients with dignity and respect ensures the process will go as smoothly as possible. We strive to know each patient and develop a mutual trust. 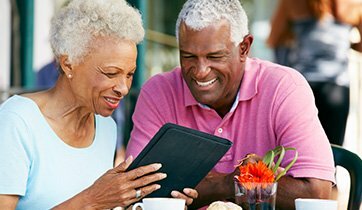 We have the expertise and knowledge of advance technologies necessary to help guide you through each step of our hearing healthcare service program. Millions of Americans suffer from some degree of hearing loss and many are unaware of their condition. Learn about the different types of hearing loss and how we can help. We believe that education is the key to every successful outcome. Therefore, we begin with a thorough diagnostic evaluation of your hearing, provide careful counseling and, if necessary based on our recommendations we are able to help you make an informed decision to select the technology best suited to your hearing loss and life style. Our paths together continue after the initial hearing aid sale to our fitting and follow up service appointments. Our priority is to provide you with unsurpassed follow up care. We are Hear For You! Have Questions or Need to Schedule Your Appointment? We Would Love to Hear From You!